After two reports emerged of Boosted Boards spewing dense smoke from their batteries, the company issued a statement urging all riders to stop using the newer second-generation boards. Now, the electric skateboard maker is taking more drastic measures, working with consumer protection agencies in the US and Canada to issue a recall. 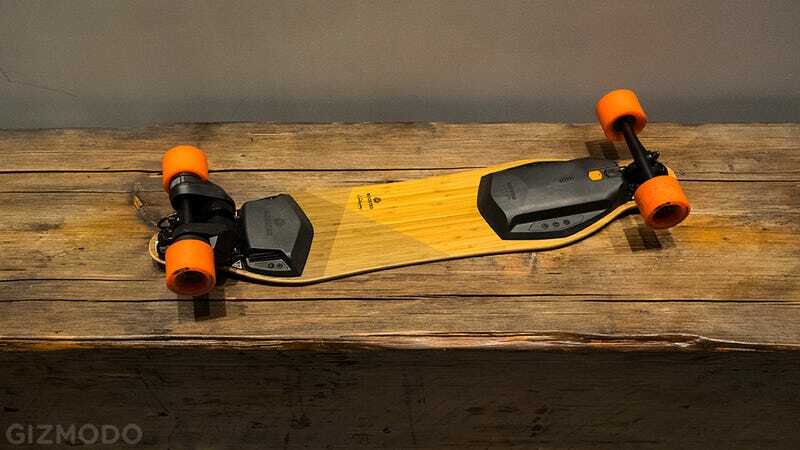 The US Consumer Product Safety Commission (CPSC) has issued a recall on about 3,200 units of the 2nd Generation Boosted Dual+ electric skateboards with lithium-ion battery packs. The skateboards can be identified by the word “Boosted” laser printed on the wooden undercarriage and serial numbers that start with S2634 through S2644 on a white sticker on the bottom of the board. You can find more info about how to identify the recalled Boosted Boards here. The official recall comes just a couple of months after the electric longboard makers issued a warning to its customers in November, urging “all riders with 2nd generation boards to stop riding and stop charging them.” The company’ advisory said that two incidents involving swappable lithium-ion batteries were being investigated. The belief at the time was that the batteries were “venting,” a non-technical term used to describe an electrical engineering problem known as a thermal runaway, which causes batteries to overheat and potentially explode. At the time Gizmodo spoke directly with one of the customers whose Boosted Board blew up, Rick Bross. The owner described to Gizmodo the harrowing scene after the battery started spewing smoke uncontrollably out of its case while he was away from home. Boosted Board’s founder Sanjay Dastoor eventually visited Bross’ New York City apartment to examine the exploded board and to retrieve the battery and the board. The company promised to rush a new board to Bross while it investigated the one that started smoking in the house. The company provides a detailed explanation of how you participate in the recall, including the potential for a $200 credit at Boostedboards.com if you miss the 30-day recall window. You can also call 844-395-0070 (toll-free) from 9 am to 5 pm PT Monday through Friday for further instructions. We reached out to Boosted Boards for comment and will update this article if and when we hear back.